The UNSW Rural Clinical School (RCS) was established in 2000 as part of a Commonwealth Government initiative to alleviate the shortage of doctors in rural and remote Australia. The School was built on the foundation of research that indicated that people who grew up in the country were more likely to return there in the long term to practice as doctors. This possibility was enhanced if students were exposed to rural life early in their study program and for an extended period. In the early years of the School, there were many who believed that it could not possibly achieve its aims - they believed that Medicine could only be taught in the traditional way, at the major teaching hospitals, all of which were located in metropolitan areas. 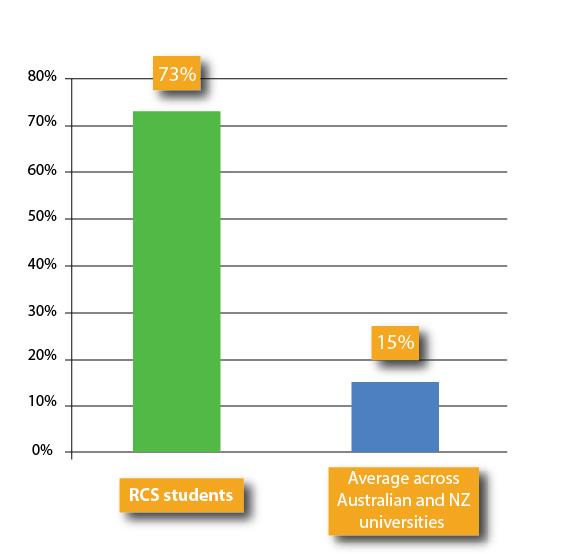 UNSW, however, was committed to the principles of equity embodied in the RCS program and supported its RCS at the highest level. The highly successful special entry to Medicine schemes for both rural and Indigenous students were incorporated into the UNSW RCS and curriculum and teaching programs were adapted to emphasise both rural and Indigenous health needs. Thanks to the enthusiasm and dedication of local medical practitioners and health professionals across New South Wales, the UNSW RCS has been able to prosper and to contradict the early doubters. In 2014, there are over 200 medical students across the five main campuses. In a 2013 study, 88% of graduating medical students from the UNSW RCS said they planned to relocate and practise in rural Australia following post-graduate specialist training, thus achieving the School’s aim - to provide highly trained and competent doctors for rural and remote Australia.